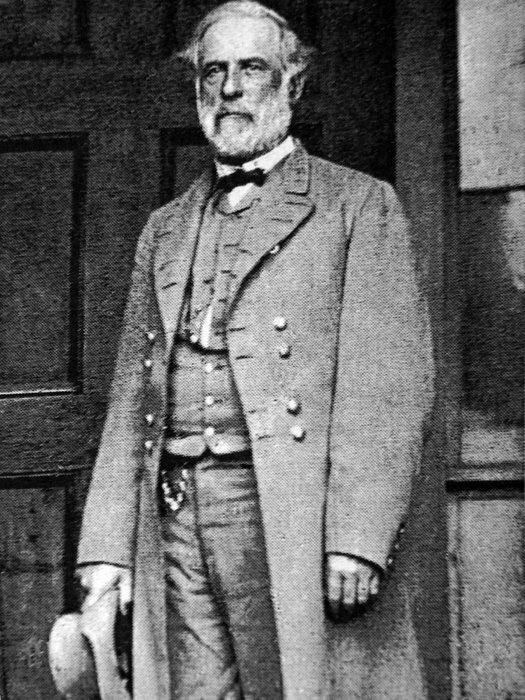 Robert E. Lee was born in Westmoreland County, Virginia on January 19. 1807. His father General Henry “Light Horse Harry” Lee III, was a former Governor of Virginia and well known Revolutionary War hero. The Lee family was one of Virginia's oldest families having arrived in the early 1600's. When Robert was just 11 years old tragedy struck and his father died leaving his mother Anne Lee responsible for the upbringing of the six children. Consequently, the family was supported largely by a relative named William Henry Fitzhugh. When Robert was a teenager, Fitzhugh wrote a letter to the Secretary of War John C. Calhoun telling him about Lee's prominent family and how he should be admitted to the United States Military Academy in West Point. Instead of mailing it he had Robert deliver it himself, which was a great idea as Lee got in the following year. Robert focused on engineering during his 4 years at West Point. He graduated in 1829, as a second lieutenant in the Corps of Engineers. Shortly after graduation Lee returned home to find his mother on her deathbed. She died July 26, 1829. Just two years later he married the great-granddaughter of Martha Washington, Mary Ann Randolph Curtis. They would have seven children. Robert served in the Mexican American War under Gen. Winfield Scott. He next served on some important engineering projects before serving as the superintendent of the Military Academy. Lee also served in the Second Cavalry in Texas. After the Civil War erupted he declined an offer of field commander in the U.S. Army. Instead he resigned and joined the Confederacy, leading the Army of Northern Virginia from 1862 to 1865. During that time period Lee won some very impressive battles despite being outnumbered. His first victories were at the Second Bull Run in Manassas, Fredericksberg, and Chancellorsville until finally he was defeated at Sharpsburg in the Battle of Antietam. His subsequent invasion of Pennsylvania ended with tremendous losses at Gettysburg. More than 4,700 men were killed, and another 12,000 wounded, with an additional 5,800 men captured or unaccounted. Next, Lee was victorious in battles in Cold Harbor and Spotsylvania. General Ulysses S. Grant commanded the Union Army during these two battles and both sides suffered enormous losses. Out of Grant's original force of 100,000 men an estimated 50,000 died during these two battles alone. At the time, Lee commanded just 60,000 troops. It is believed that 30,000 of his soldiers died. At the same time the Confederates lost a staggering number of junior officers. Lee was the apparent winner, but in the end he would end up the loser because he would not be able to replace the incredible amounts of soldiers who had died. Lee's forces now numbered only 30,000. Completely outnumbered the Confederate forces were reduced to fighting from the trenches that surrounded both Richmond and Petersburg. After a siege of eight months, Lee would continue to fight until it became hopeless. He surrendered at the Appomattox Courthouse on April 9, 1865. Following the signing of the treaty, Lee's men were allowed to keep their horses, and return to their homes. After four years of ferocious combat, the Union had lost 359,528 and 275,175 wounded, and Lee's Confederate forces had lost 258,000, with 100,000 wounded. After the war, Robert E. Lee served as the president of Washington College in Lexington, Virginia. Soon after his death the university was renamed Washington and Lee University.